January 23, 2018 – Los Angeles The FRONTLINE (PBS) documentary ABACUS: SMALL ENOUGH TO JAIL, directed by award-winning filmmaker Steve James (Life Itself, Hoop Dreams) and produced by Mark Mitten (Life Itself) and Julie Goldman (Life Animated, Buck), has been nominated for an Academy Award® in the Documentary Feature category. This nomination marks the first Academy Award® nomination for Best Documentary Feature for Steve James; Mark Mitten’s first Academy Award® nomination; and Julie Goldman’s second Academy Award® nomination for Best Documentary Feature. For the acclaimed PBS documentary series FRONTLINE produced out of WGBH/Boston, this is a first Academy Award® nomination. ABACYS SMALL ENOUGH TO JAIL is a Mitten Media, Motto Pictures, and Kartemquin Films Production for WGBH/FRONTLINE and Independent Television Service (ITVS). It is co-presented with the Center for Asian American Media (CAAM). The director is Steve James. The producers are Mark Mitten and Julie Goldman. The co-producers are Fenell Doremus and Nick Verbitsky. The executive producers are Gordon Quinn, Christopher Clements, Betsy Steinberg and Justine Nagan. The executive producer of FRONTLINE is Raney Aronson-Rath. The executive producer of ITVS is Sally Jo Fifer. LOS ANGELES, CA – SEPTEMBER 17: Writer/producer Charlie Brooker (L) with cast and crew accept Outstanding Television Movie for ‘Black Mirror’ (episode ‘San Junipero’) onstage during the 69th Annual Primetime Emmy Awards at Microsoft Theater on September 17, 2017 in Los Angeles, California. The 4th Annual Urban Action Showcase and Expo will take place on November 11-12, 2016 at HBO, 1100 Avenue of The Americas and AMC Empire 25 Theaters, 234 West 42 St, Times Square NYC. The UASE will also pay homage to over 30 years of martial arts cult classics with anniversary screenings of John Carpenter’s Big Trouble in Little China and Isaac Florentine’s WMAC Masters TV series. On Saturday, November 12th, I’ll be at the 30th anniversary screening of Big Trouble in Little China with my co-star and pal Peter Kwong (Rain) at AMC Empire 25 Times Square at 4:00P.M, with a Q&A to follow. Other showcase films will include a tribute to the Blaxploitation and Asian Action Cinema classics. The UASE is the only Action entertainment platform offering both fan and professional experiences through its International Action Film Festival, Expo and Awards platforms. By focusing on the thrill and excitement of the Action genre and recognizing the need for integration, the UASE sets itself apart from other festival platforms as the only one of its kind! The purpose of the UASE is to ultimately see an increase in ethnic heroic principal characters in film and television, increase the development of content and expand distribution platforms reflecting multicultural images and interests as it pertains to the multifaceted Action genre. Screening of Features, Shorts and Showcase Films! Urban Action Showcase Diversity in Action Celebration: Saturday, November 12th Red Carpet 7:00p.m. – 7:30p.m., Celebration Showcase 7:30p.m. – 9:30p.m. The independent pilot “According to My Mother,” created by Daniel K. Isaac, Cathy Y. Yan, took home two NYTVF awards at the 12th annual New York Television Festival, including Best Drama and Best Actor for Isaac, in New York on October 29, 2016. “According to My Mother” is a comedic series about a young, gay Korean American actor and his disapproving, devout Christian mother who moves in with him and changes everything. Congratulations to all of the 12th annual New York Television Festival award winners and network deals. Established in 2005, the NYTVF constructs new and innovative paths of development and talent identification, while simultaneously complementing the traditional television development model. By partnering directly with networks, studios, production companies, digital platforms and brands, the NYTVF provides its Industry Partners with a streamlined development model, leveraging its vast creative community of over 15,000 independent producers and production companies, to create content with specific partners in mind. During the annual New York Television Festival – held each fall in New York City – the NYTVF brings together its top artists and industry decision-makers for a series of events designed to foster networking, collaboration and education. The Festival also marks the culmination of the organization’s yearly development efforts and features screenings of top independent content, educational panels, fan events, red carpet premieres, and more. For more information on the NYTVF and the annual Festival, visit www.nytvf.com, and to learn about opportunities to submit for its year-round competitions, visit http://www.nytvf.com/submit.html. HBO has launched HBO Asian Pacific American Visionaries, a short film competition dedicated to showcasing emerging APA directors with unique perspectives of the Asian Pacific American experience. Three winning films will be awarded cash prizes and make their premiere at the Los Angeles Asian Pacific Film Festival in April 2017 and offered the opportunity to license their film to premiere exclusively on HBO (and/or its on-demand, digital and/or social platforms) during Asian Pacific American Heritage Month in May 2017. The deadline for entries is November 7, 2016. Join the conversation on Twitter with hashtag #hbovisionaries. The first competition of its kind for HBO, APA Visionaries aims to help further the dialogue about race, diversity and representation in Hollywood while offering unique and creative depictions of the Asian Pacific American experience.  Films must not have had any previous exhibition on broadcast, cable or online. For complete details, visit www.hbovisionaries.com.The judging panel is comprised of HBO executives and a panel of industry experts, including representatives from the Los Angeles Asian Pacific Film Festival and the Coalition of Asian Pacifics in Entertainment. Home Box Office, Inc. is the premium television programming subsidiary of Time Warner Inc. and the world’s most successful pay TV service, providing the two television services – HBO® and Cinemax® – to approximately 131 million subscribers worldwide. The services offer the popular subscription video-on- demand products HBO On Demand® and Cinemax On Demand®, as well as HBO GO® and MAX GO®, HD feeds and multiplex channels. HBO NOW®, the network’s internet-only premium streaming service, provides audiences with instant access to HBO’s acclaimed programming in the U.S. Internationally, HBO branded television networks, along with the subscription video-on-demand products HBO On Demand and HBO GO, bring HBO services to over 60 countries. HBO and Cinemax programming is sold into over 150 countries worldwide. Congratulations to Tim Savage’s Under The Blood Red Sun, starring Academy Award winner Chris Tashima, Kyler Sakamoto, Kalama Epstein, Dann Seki, Autumn Ogawa, Will Kahele and Mina Kohara, which was named Best US Feature Film at the 2016 Love International Film Festival Awards Gala, held at the historic Wilshire Ebell Theater in Los Angeles last night. 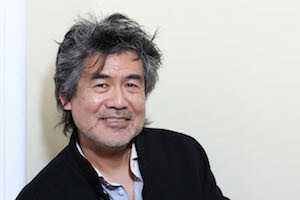 Chris Tashima won for Best Actor in a Supporting Role. Other nominations included a Best Youth Actor nod for Kyler Sakamoto and a Best Youth Actor in a Supporting Role nod for Kalama Epstein. Tim Savage, Kyler Sakamoto, Kalama Epstein and Chris Tashima on the red carpet at the Love International Film Festival Awards Gala at the historic Wilshire Ebell Theater in Los Angeles on July 16, 2016. Photo by Kalene Sakamoto. Kyler Sakamoto, Tim Savage, Chris Tashima Kalama Epstein at the Love International Film Festival Awards Gala at the historic Wilshire Ebell Theater in Los Angeles on July 16, 2016. Photo by Kalene Sakamoto. Under The Blood Red Sun is based on the bestselling novel of the same title by Graham Salisbury, and details the life of Tomi––a Japanese American boy whose family was sent to the internment camp during World War II. LIFF’s 2016 festival was held July 9th through the 16th in Los Angeles, California. Bev’s Girl Films’ is thrilled that our debut short, HIDE AND SEEK, starring Lia Chang and Garth Kravits, is among the top 14 shorts which have screened since January in the Katra Film Series, to compete in the 2016 Katra Film Series – 2nd Round event on Saturday, July 16, 2016, for $2000 in prizes sponsored by Pond5, Moviemaker Magazine, CreatorUp, Goze Zone, Socially Relevant Film Festival. Everyone who attends will be eligible for a $250 free headshot session with a photographer from City Headshots. The Katra Film Series is NYC’s premier film series dedicated to the exhibition and promotion of quality independent cinema and innovative short-form videos. The winners of the 2nd Round – chosen by pair of industry judges and audience vote – advances to the 5th Annual Grand Finale Series in January 2017. Katra is located at 217 Bowery btw. Rivington and Prince St. in New York. The evening begins at 5pm. Tickets are $20 and can be purchased here. The 2nd round includes an international lineup of filmmakers from Israel, Japan, Georgia, Moldova, Ecuador and Greece, with diverse topics ranging from the Syrian Refugee crisis to the lives of plantation workers in Liberia to the inhumane treatment of animals and nature. The lineup also includes shorts with cast members from hit TV shows The Blacklist, The Americans, and Orange is the New Black. Katra Founder and filmmaker Geoffrey Guerrero chatted with many of the filmmakers via Facebook Live. Check out the lineup and interviews below. A short doc about the Syrian refugee crisis in Lesvos, Greece. A short film starring Lia Chang and Garth Kravits, that speaks to the societal challenge that women, and especially women of color, endure every day. Check out our Facebook Live interview with Geoffrey Guerrero, filmmaker and founder of Katra Film Series. When his fiancée is abducted by an evil warlord, a lone soldier struggles to save her before she is turned to the dark side. A moral fable about a revenge-seeking bear who nobly forgives the humans for their wrongdoings. Tracing the journey of the late Japanese cinematographer Ryo Murakami to the Firestone Tire and Rubber Plantation in Liberia. Emma is a recent college grad, unsure of her next move in life. A psychological thriller about a man whose promotion hinges on him taking a medical exam. It’s moving day, and the Gorden family must deal with a long forgotten family heirloom that has re-surfaced. An ensemble comedy about the intersecting and competing loves, lies and indiscretions of three couples in Brooklyn, NY. When an angry mob comes for Frankenstein’s Monster, Victor Frankenstein must find a way to get him off the hook. April and Kalev meet at an Italian restaurant after agreeing to go on their first on-line date. A comedic webseries about working moms, everyday disasters and middle-aging not so gracefully. A nostalgic tale about a boy who doesn’t quite fit in. Instead, he finds all the company he needs in his mother’s delicious chocolate cake. A struggling literary agent, Ben Bernstein, tries to find the one writer who can be the next big thing. Do you have a short film, web series, short doc, music video you’d like to submit? Katra is looking for short content of any genre/form no longer than 45 minutes in length. Visual art, experimental, animations are welcome! Submit via Film Freeway. The Bella Abzug Leadership Institute (BALI) is launching a new, cutting-edge, two-day entrepreneur training program for college women this August, 2016 in New York City. BALI has created this program in honor of Millie King, mother of long-time BALI supporter, trainer and mentor, Kathleen King. Kathleen is the founder of Tate’s Bake Shop, a multi-million dollar bakery that she started in the kitchen of her family’s Southampton, New York farm at the age of 11. In collaboration with Kathleen and with the support of the Kathleen King Charitable Fund, the Bella Abzug Leadership Institute will offer a FREE two-day entrepreneurial training program to college aged young women from New York City and around the U.S. The program will be hosted at Hunter College on Tuesday, August 2 and Wednesday, August 3, 2016. Liz Abzug and her mother, Bella Abzug. “The Millie King Entrepreneurship Program at BALI is a dream that I have had — to launch a new BALI training program for college age young women that provides them with the knowledge and skills necessary to learn how to become entrepreneurs, business owners and to work in the field of corporate social entrepreneurship,” says BALI founder/CEO Liz Abzug. “I am so thrilled that the very successful and esteemed entrepreneur Kathleen King, Founder and former CEO of Tate’s Bake Shop, is BALI’s partner in launching and supporting this important new program in honor of her late mother, whom I was honored to know. We thank Kathleen King for her very strong support in assisting us in establishing this program and for her previous support of BALI’s work. We believe that by creating this very unique program we will be generating our future female CEO’s, entrepreneurs and 21st century visionary leaders in business,” Abzug said. This new cutting edge program will be comprised of a series of workshops, lectures and seminars led by some of the most successful entrepreneurs and professionals who work in the area of small business, start-ups and social entrepreneurship. The seminars will cover business strategies, development and social entrepreneurship and topics covered will include brand marketing including digital and social media, financial structuring, “one for one” company models and much more. Accomplished professional women and men from all sectors will mentor and train BALI students by offering them critical skills and guidance needed to grow as dynamic 21st century entrepreneurial business owners and visionaries. Founded in 2005, BALI’s mission is to inspire the current and next generation of girls and young women to take on leadership roles in all professions and to effectuate positive social change in their own communities and in the world. BALI utilizes the signature leadership skills of the late Bella Abzug, the legendary Congresswoman, lawyer and feminist leader, to mentor and train middle, high school and college age women in leadership and debate skills. BALI provides on-going mentoring to all of our trainees so they develop the confidence and critical leadership skills needed to be effective, dynamic and visionary 21st century leaders. Elizabeth Sung, who was recently inducted into AMPAS (Academy of Motion Picture Arts and Sciences, continues her two episode guest starring arc as Sumei Zia, the mother of Dr. Topher Zia (Ken Leung), on the Season 3, episode 308 of NBC’s “The Night Shift,” entitled “All In” which airs on Wednesday, July 13, 2016 at 10:00PM. Ms Sung first appeared on “The Night Shift” in the episode entitled “The Way Back” which aired in June. Click here to watch “The Way Back”. Eoin Macken as Dr. TC Callahan on NBC’s “The Night Shift”. “The Night Shift” focuses on a team of doctors and nurses at San Antonio Memorial’s emergency room that are anything but ordinary. The risks they take to save lives straddle the line between heroic and impulsive, but are always worth it. The series stars Eoin Macken as T.C. Callahan, Jill Flint as Dr. Jordan Alexander, Ken Leung as Dr. Topher Zia, Brendan Fehr as Dr. Drew Alister, Robert Bailey Jr. as Dr. Paul Cummings, JR Lemon as Kenny, Tanaya Beatty as Dr. Shannon Rivera and Scott Wolf as Dr. Scott Clemmens. (l-r) Ken Leung as Dr. Topher Zia and Elizabeth Sung as Sumei Zia on NBC’s “The Night Shift”. In this episode, Topher’s (Ken Leung) mother arrives in the ER with life-threatening symptoms. As her condition deteriorates, the team works furiously to save her before it’s too late. Drew (Brendan Fehr) and Shannon (Tanaya Beatty) treat a gravely injured foster mom and while Drew bonds with the scared young foster daughter, the team discovers the mother has a secret. Meanwhile, Jordan (Jill Flint) and Scott (Scott Wolf) treat a patient with a rare condition and when an important piece of equipment needed for his treatment fails, Jordan must enlist the help of TC’s (Eoin Macken) new girlfriend Jessica (guest star AnnaLynne McCord, ‘Secrets and Lies’) whose company makes the machine. JR Lemon also stars. Prior to her first appearance on “The Night Shift,” we had a moment to catch up. In Albuquerque, where “The Night Shift” is shot, Ms. 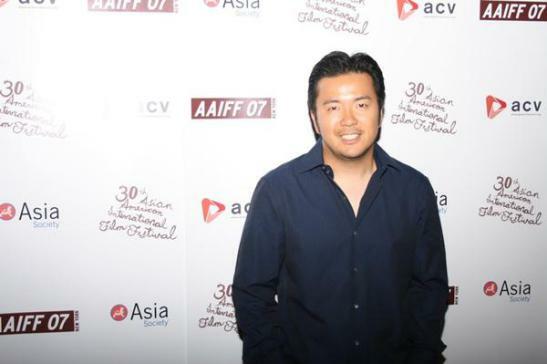 Sung was delighted to be reunited with Ken Leung, having worked with him on “The Sopranos” as his mother and in Fay Ann Lee’s indie film “Falling for Grace”. Lia: What was it like on the set of “The Night Shift”? Elizabeth: My first day was a party scene. I really felt like I was being swept into a family. I found the cast and crew to be extremely welcoming. The episode was written by Janet Lin, who I worked with on “Bones.” It was wonderful to reconnect with Ken and Janet. The director, Tara Nicole Weyr, is great. I was very inspired to see two women helming key positions. This says a lot about “The Night Shift” production, a female friendly set, with a lot of women on the crew. Click here to read her complete interview.